3. What 1000 male college students in Texas think about women cannot be extrapolated to the minds of the entire human species. Nor can they be extrapolated to the minds of australopithecines, in spite of the obvious joke. 5. Life evolves; culture “evolves”. [iv] Even Herbert Spencer knew that. 6. Homologous does not mean “the same as”. A sparrow’s wing is homologous to your arm, but it can flap it and fly away and you can’t. A chimp’s foot is adapted for grasping; a human’s foot is adapted for weight-bearing. Their brains are adapted to different functions as well. 7. Whether or not chimpanzees are cultural, they are doing things quite differently than humans are, so you still have to come up with a different descriptor for human behavior: like “euculture” or “accumulated culture”. [v] It’s the same distinction, and we’ve already made it. 8. A non-cultural chimpanzee is a chimpanzee; a non-cultural human is a corpse. 10. Hunter-gatherers are no more human than the rest of us, your ancestors did not live in the Kalahari desert, and the Yanomamo aren’t hunter-gatherers. And one more for good measure: Reading a book by Steven Pinker does not make you an expert on human evolution. [i] Irons, W. 1998. "Adaptively Relevant Environments Versus the Environment of Evolutionary Adaptedness." In Evolutionary Anthropology. 6:194-204. [ii] “Darwin explains that man’s mind became superior to woman’s because, among our brute ancestors, the males fought for the females and thus strengthened their minds. If he had lived until now, he would not have felt it necessary to make so ridiculous an explanation, because woman’s mind is not now believed to be inferior to man’s” (Bryan W. J. 1922. God and evolution. The New York Times, 26 February.). [iii] Simon, M. A. 1978. "Sociobiology: the Aesop's fables of science." In The Sciences. 18:18-21. [iv] Fracchia, J. and Lewontin, R. C. 1999. "Does culture evolve?" In History and Theory. 38:52-78. [v] Wilson, E. O. and Lumsden, C. J. 1981. 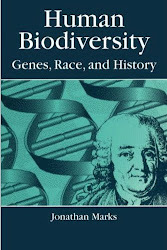 Genes, mind and culture: the coevolutionary process. Harvard University Press. Mesoudi, A. 2011. Cultural Evolution: How Darwinian Theory Can Explain Human Culture and Synthesize the Social Sciences. University of Chicago Press. Just out of curiosity, what are your thoughts on the paper that came out in PNAS "The Mystery of Missing Heritability: Genetic Interactions Create Phantom Heritability"? I know this is old news, but I was and am really interested in what you think about this. Thank you, Jon, for writing this and for the link. 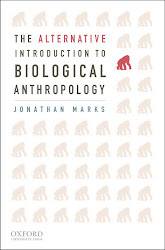 I've recently been trying to streamline and edit the Human Nature and Anthropology section, so would be grateful for comments or suggestions. 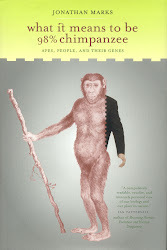 "Darwin in Mind: New Opportunities for Evolutionary Psychology"
"Human nature or human natures?" Hello, You sound so passionate about what you are writing. Keep up the good work. Evolutionary psychology (EP) is an approach in the social and natural sciences that examines psychological traits such as memory, perception, and language that touches all of those ten points you stated here. The most important part of this article is - "Darwin explains that man’s mind became superior to woman’s because, among our brute ancestors, the males fought for the females and thus strengthened their minds. If he had lived until now, he would not have felt it necessary to make so ridiculous an explanation, because woman’s mind is not now believed to be inferior to man’s” " Yes it is true for that time, In the past almost everyone, whether man or woman, learned or unlearned, believed the intellectual capacity of women to be inferior to that of men. but this thought has changed quite a bit over the past couple of decades from now. reflected by the 56 various limbs from the U . s . Mental Affiliation . psychologists are often referred to as getting sometimes "applied" as well as "research-oriented". 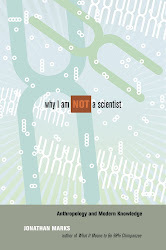 tend to be "scientists" as well as "scholars" (those who execute research) in addition to "practitioners"